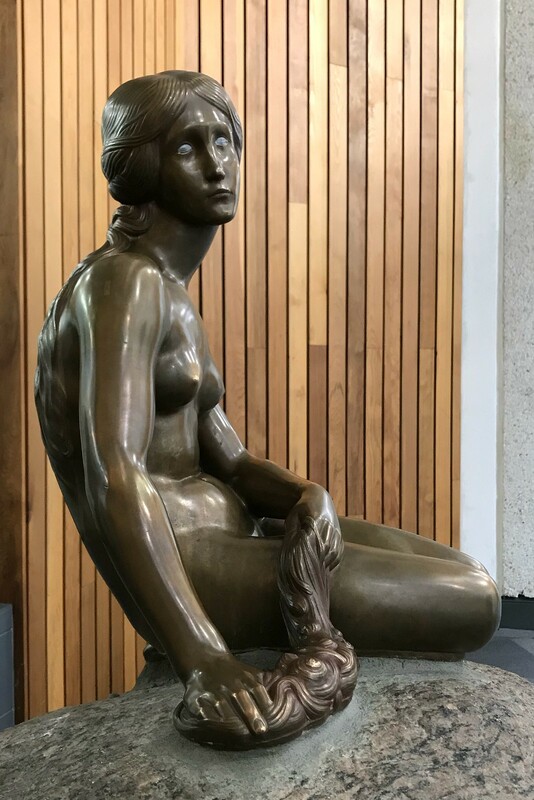 A re-imagining of The Little Mermaid statue in downtown Calgary — a gift from the city’s Danish community back in the 1970s. The sculpture stands today in the Telus Convention Centre. The original statue stands on the waterfront in Copenhagen, Denmark.